In Potter v. New Brunswick Legal Aid Services Commission, 2015 SCC 10 the Supreme Court of Canada considered the law as it pertains to constructive dismissal in the employment law context. Prior to this decision the Supreme Court had last considered this issue in its seminal decision in Farber v. Royal Trust Co. in 1997. In general an employee can claim to have been constructively dismissed from their employment if their employer makes fundamental changes to the employees’ duties, status or remuneration that is not specifically permitted by the contract of employment. A Court will first determine the express and implied terms of the contract of employment before and after the alleged breach of contract and secondly the Court will determine whether the original terms of the contract of employment have been breached by the imposed change. Lastly, the Court will determine whether the breach is a substantive one going to the root of the contract thus permitting the employee to treat the contract of employment as at an end and to sue for damages for wrongful dismissal. In the Potter decision the Supreme Court considered whether the administrative suspension with pay of a non-unionized employee constituted a unilateral change to the contract of employment that amounted to a breach of the contract of employment and, if it did constitute a breach of the contract of employment, whether the unauthorized administrative suspension can constitute a change so substantial to the contract of employment that it permits the employee to treat the contract as having been repudiated by the employer permitting the employee to sue for wrongful dismissal. In Potter, the Supreme Court considered whether Mr. Potter was constructively dismissed as Executive Director of the New Brunswick Legal Aid Services Commission when the Commission’s Board indefinitely suspended him with pay without stating the reason for his suspension or that it was an administrative suspension. The Board, unknown to Mr. Potter, also asked the Minister of Justice who appointed him to the Commission that his employment be terminated for cause. The Board had been negotiating with Mr. Potter over the early termination of his 7 year appointment. When it appeared to the Board that they were not going to obtain the resolution they wanted they ordered Mr. Potter not to come to work “until further direction”. They also assigned his responsibilities to another employee. Mr. Potter sued for constructive dismissal. The New Brunswick Courts held that Mr. Potter’s administrative suspension with pay did not constitute a constructive dismissal because the Board had not done anything that would lead an objective observer in Mr. Potter’s circumstances to conclude that his responsibilities had permanently been removed for the balance of the term of his contract of employment. the Court must then determine whether that breach was sufficiently serious to constitute constructive dismissal. However, an employer’s conduct will also constitute constructive dismissal if it more generally shows that the employer intended not to be bound by the contract. This requires a retrospective approach to the cumulative effect of past acts by the employer and the determination of whether those acts by the employer evinced an intention to no longer be bound by the contract. The Supreme Court held that the indefinite suspension of Mr. Potter by the Board without providing Mr. Potter with valid business reasons for doing so and the Board’s failure to act in good faith when they concealed their intention to have Mr. Potter’s employment terminated constituted constructive dismissal. This statement of the law by the Supreme Court is consistent with its recent decision in Bhasin v. Hrynew, 2014 SCC 71 where the Court for the first time enunciated a new common law duty in contractual relations. The new common law duty is a duty of honest performance and is a manifestation of the general organizing principle of good faith. The Potter decision includes a full review and elaboration of the factors to be considered by the Court when determining whether an employee has been constructively dismissed. 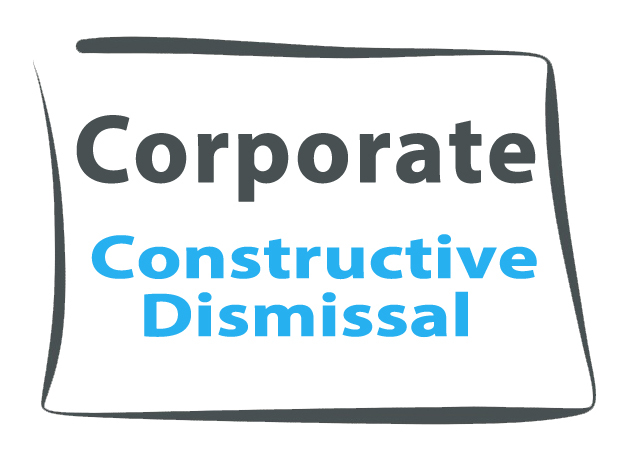 Constructive dismissal can take two forms: that of a single unilateral act that breaches an essential term of the contract, or that of a series of acts that, taken together, show that the employer no longer intended to be bound by the contract. Employers should seek professional advice when dealing with employment issues that they are not fully familiar with. The full text of the Potter decision can be found on the CanLII website. This article is a reproduction of Ian Mackie’s blog post that was originally published on our firm’s website here. Peter Ferrari is a senior corporate lawyer in Vancouver, British Columbia. He has over a billion dollars in M&A and commercial lending transaction experience. Selling your business – Asset Sale vs Share Sale?